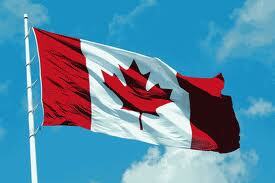 Sunday, July 1, 2012: Canada Day; our national celebration of the birth of this country, now 145 years old. Our population has crossed the 34 million mark which would rank Canada around 36th in the world by population, 0.5% of the world's total on a land mass which is second only to Russia in territorial size. I had a chance in 2010 to visit to Egypt to see the land of the pharaohs. (I recommend everyone going. See it "live" instead of on National Geographic.) Beforehand, I did a little research to better understand my destination. Unlike previous vacations I've had in the U.S. or England or France, Egypt is a 3rd world country and I had never visited a country which is officially classified as third world. The per capita income of Canada according to numbers from a 2009 IMF study shows approximately $39,700 US per year, #18 on the list while Egypt was listed #114 on the list with $2,450. What? I was stunned when I read that. How in terms of my life here in Canada could I possibly conceive of what it would mean to live with only one sixteenth of our average income? That is not just stunning, it is unbelievable. Note the word I used: unbelievable as I truly can't believe it would be possible to live on such a small amount of money. Certainly not in Canada and I can't quite imagine in what circumstances I could live with so little money. The United States has a per capita income of $46,400 but would I want to trade my life here in Canada for an extra $6,700 per year? In the past week, Iraq has seen numerous bomb attacks: nine killed at a soccer game in the southern city of Hilla; 13 killed and 50 wounded in a sectarian attack in Baghdad; 4 killed, 20 wounded in car bomb explosion in Taji; the list goes on and on. When was the last time there was a bombing in Canada? I can think back a few years to an attack against the oil pipeline out in B.C. and an attack against a military recruiting office in Québec but does that in no way compares with what is going on elsewhere in the world. The worse we seem to have is some mischief makers setting off smoke bombs in the Montréal subway. An inconvenience, yes, but compare that the headlines in Iraq listing the number killed and the number wounded. On June 13 alone in Iraq a series of coordinated attacks saw 93 people killed and over 300 wounded. 12: Canada 51,700 2011 est. 19: United States 48,400 2011 est.